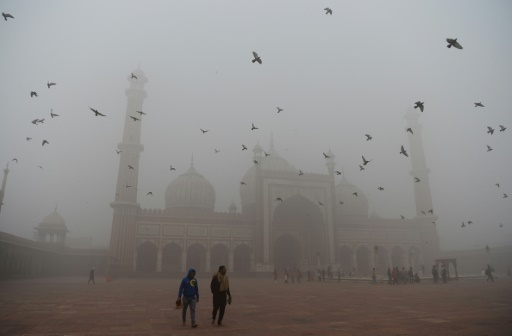 NEW DELHI (AFP) – Delhi authorities shut all schools in the Indian capital on Wednesday as pollution hit nearly 30 times the World Health Organization’s safe level, prompting doctors to warn of a public health emergency. Dense grey smog shrouded the roads of the world’s most polluted capital. Many pedestrians and bikers wore masks or covered their mouths with handkerchiefs and scarves. The U.S. embassy website showed the concentration of PM 2.5 – the microscopic particles that are the most damaging to health – topped 700 early on Wednesday morning, 28 times the WHO guidelines. “Due to the deteriorating air quality in Delhi, the health of children cannot be compromised,” tweeted Manish Sisodia, Delhi’s deputy chief minister. An estimated five million students are enrolled in nearly 6,000 government and private schools in the capital, according to official data. The Indian Medical Association warned of a public health emergency and urged administrators to “curb this menace”, while the Environment Pollution Authority warned that things were set to get worse in the coming days. “When I came to Delhi in 1984, the air in the city was clean. But today when I left at 4 a.m. for work I could barely see anything,” said Jeevanand Joshi, a roadside tea seller. The city of 20 million has the unenviable distinction of being the world’s most polluted major city, often surpassing Beijing. Since 2014, when WHO figures showed the extent of the crisis, authorities in Delhi have closed power plants temporarily and experimented with taking some cars off the road. But the temporary measures have had little effect. 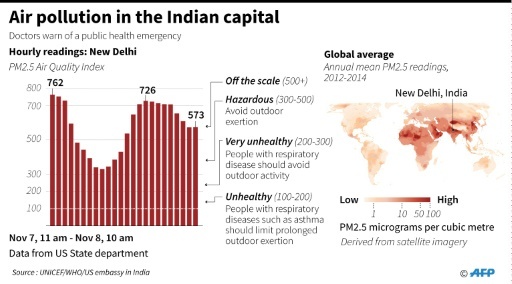 Delhi’s air quality typically worsens before the onset of winter as cooler air traps pollutants near the ground and prevents them from dispersing into the atmosphere, a phenomenon known as inversion. High levels of moisture in the air and a lack of wind meant emissions had become trapped in the environment, according to India’s Central Pollution Control Board. Firecrackers set off to celebrate last month’s Diwali festival of lights in the city added to the toxic mix created by pollution from diesel engines, coal-fired power plants and industrial emissions. The problem is further exacerbated by farmers who burn crop stubble after the harvest in northern India, a practice that remains commonplace despite an official ban. On Tuesday the Environment Pollution Authority, which was set up by the Supreme Court to tackle the issue, ordered the closure of dust-spewing brick kilns and an increase in parking fees to encourage the use of public transport. 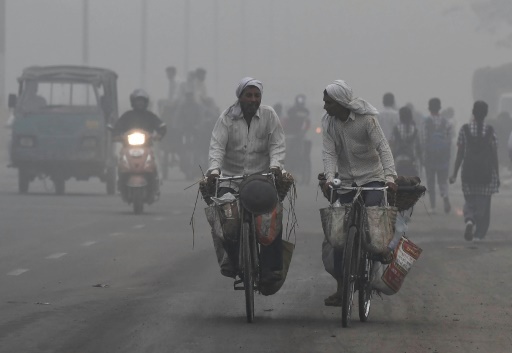 “In terms of air pollution, things are expected to get much worse in the coming days,” Bhure Lal, head of the agency, said in a statement late Tuesday. India is Cherry-Picking Citizens: Election Year Gimmick with Ominous Implications?